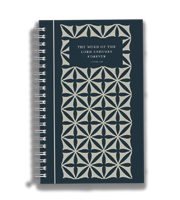 The majority of the materials in this category are produced by Lutherans For Life (LFL) and are offered here through a partnership with Concordia Publishing House (800-325-3040). LFL offers high quality, easy-to-use resources to equip pastors, educators, and congregations to apply the Gospel of Jesus Christ to the life issues. For more information on how Lutherans For Life can help you, call 888-364-5433 or go to www.lutheransforlife.org. Brochure – “Jesus Loves Me and those with Down syndrome"
This brochure shares two stories from LFL team members that highlight the value of these precious brothers and sisters. Rev. Michael W. Salemink presents a better end-of-life approach than assisted suicide. This is the true record of a woman pouring her heart out in the presence of God as she experienced the death of a child in her womb. Tiny Hands was written as a gift book for expecting mothers who are excited and waiting in anticipation for the birth of their baby. Provides a unique, Gospel-centered, positive way to help Lutheran Sunday school teachers apply God’s Word to the life issues! The public promotion of physician-assisted suicide will lead to more pressure on states to enact pro-assisted-suicide legislation. Jesus, who was formed in the womb of Mary, began life smaller than a grain of salt. In this brochure, Rev. Dr. James I. Lamb takes a look at how we came to be. by David A. Kaufmann PH.D.F.A.C.S.M. This insert shares how adoption is life saving and life affirming.